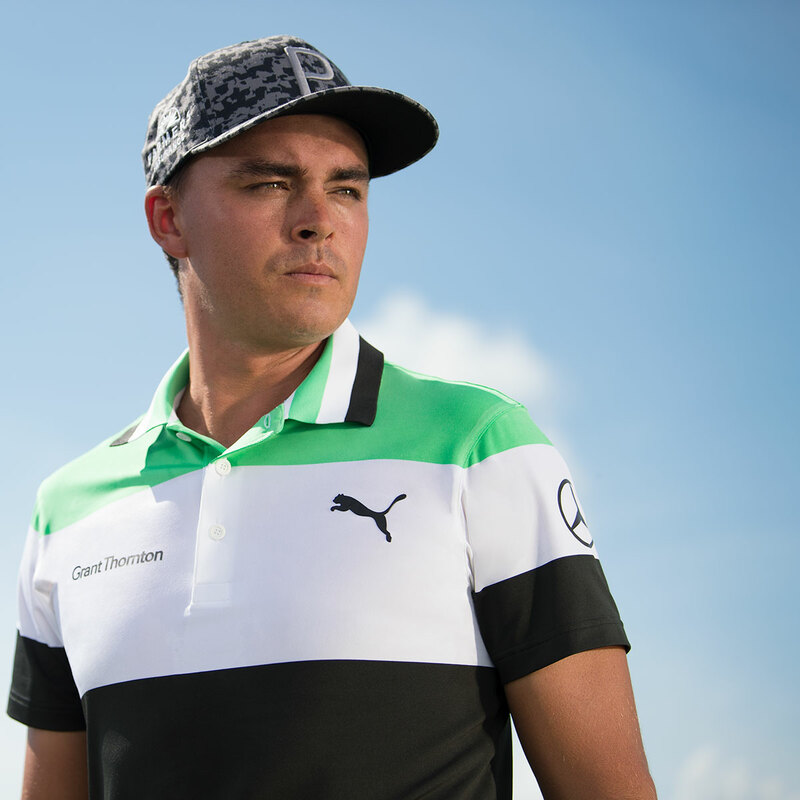 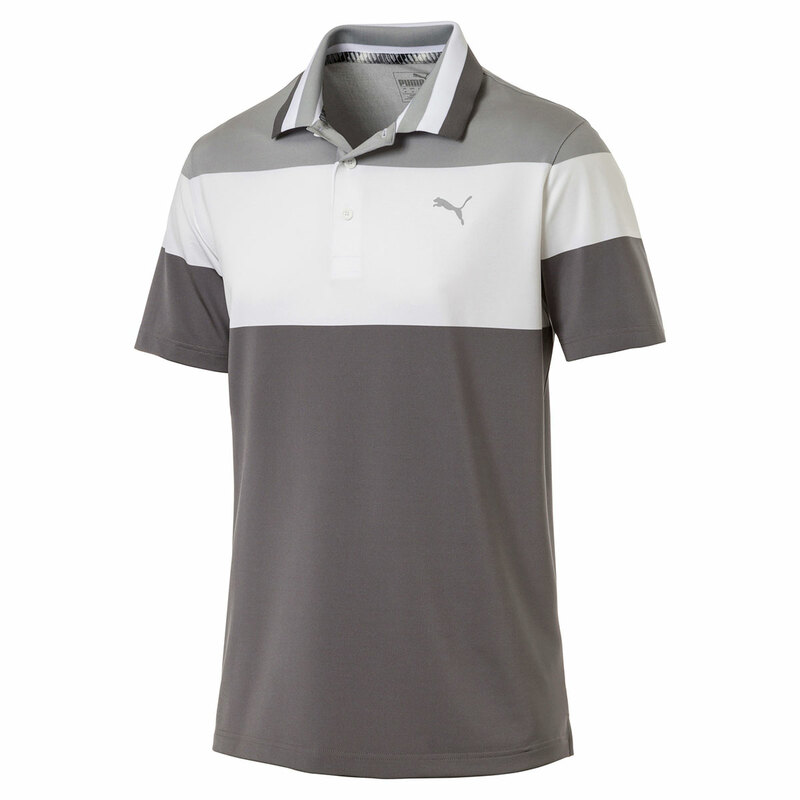 Move freely around the golf course with this high-performance polo shirt from PUMA. 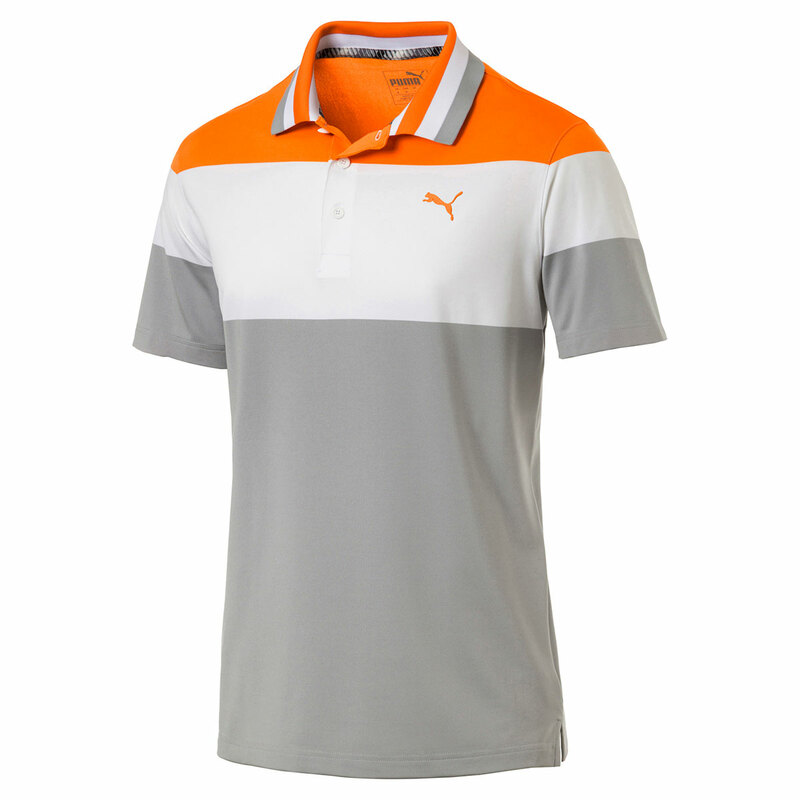 The shirt has been designed with a stretch fabric to give you more mobility through any athletic movements associated with the golf swing. 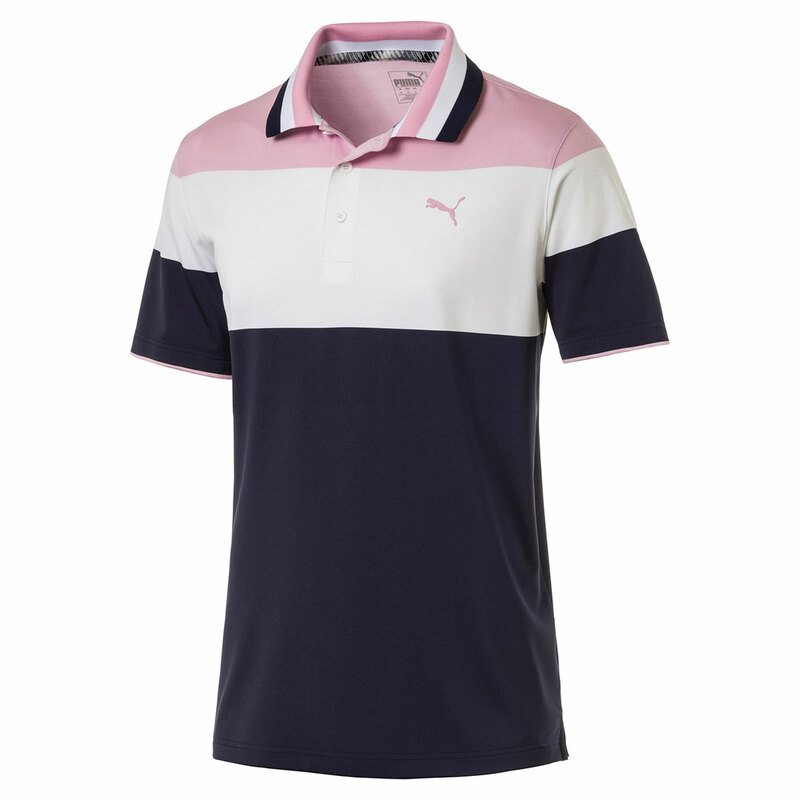 The dryCELL technology helps to draw perspiration away from the body, this helps to keep you dry and comfortable as you make your way around the golf course. 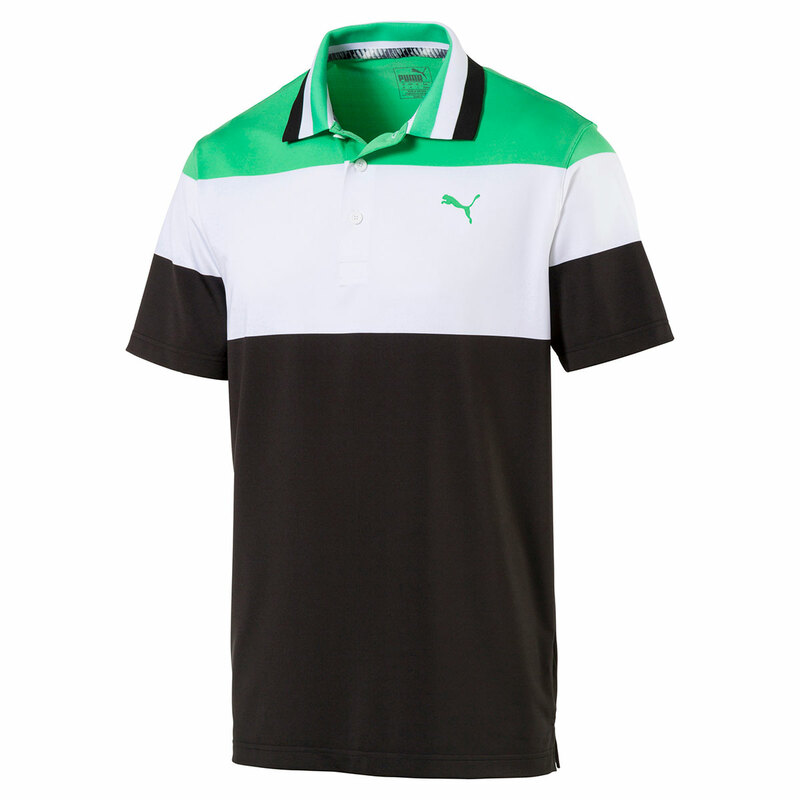 Other features include a heat transfer PUMA cat logo on the chest, 3-button placket and fold over collar.